While I think backup could be part of the story, I’m skeptical that it is a strong-enough motivation – people find it to easy to ignore until the worst happens. I think that i) universal access (any device); and ii) Organizing media and communication in one place are the real drivers, with backup coming in third. Perhaps it’s notable that Dropbox have taken this kind of approach with documents, and Picassa with photos – they emphasize access, and sharing, over backup, even though backup is more-or-less explicit part of the offer too. So, today comes a counter-example (via TechCrunch). 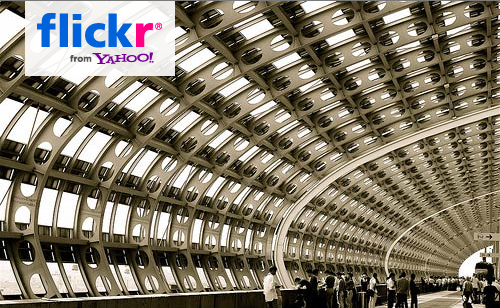 Mirco Wilhelm had 4,000 photos on Flickr (photo-site owned by Yahoo), they were deleted by an administrator at the company. Even though Mirco is a paying customer, there is no backup and no redress. As a general matter, we can assume that no consumer Internet service, up to and including email, has any backup of user data; some business services, such as a Microsoft BPOS, have at least some measure of backup and/or data redundancy. Data backup / redundancy is expensive. Obviously, at best it increases storage costs substantially. It also increases networking costs. If the redundant/backed-up data is at a different site – as it really should be, to guard against risks of fire / earthquake / storm – it becomes even more expensive. Then there are the software challenges of what to do when one data copy is destroyed – it is almost impossible to create a complete new copy at a new location given the bandwidth limitations of storage systems and networks. So, there is an argument as to why consumers should be interested in backing up cloud and non-cloud data alike. But I still think most people would ignore it, and would need stronger more day-to-day motivations to adopt a service. Update: There is a startup targeting back-up of online data – Backupify. There already claiming to cover quite an array of services; Flickr, Google Apps, Twitter, FaceBook, LinkedIn. Pretty nice. Still not sure I can be bothered, though… even though I probably should. When my Yahoo email was hacked in September, and all of it was stolen – about 5 year’s worth – they were completely unable to restore it. Partly this was shockingly inept customer service, too long and annoying a story to recount here, but in part I suspect it was because there was no back up. They make it sound like there is a daily back up – “if you contact us within 24 hours of finding the information missing, we may be able to restore it” – but I wonder how true that is? I requested restoration after it had been missing (so far as I know) for about five hours…. and they failed.